Despite its reputation as a chaotic and buzzing metropolis Hanoi offers plenty of room for visitors to give their synapses a break. One such area is Hoàn Kiếm Lake, found in the vibrant Old Quarter. As night comes down and the lights go up, Vietnam’s capital takes on a hazier hue as the world unfolds at a (slightly) more sedate pace. 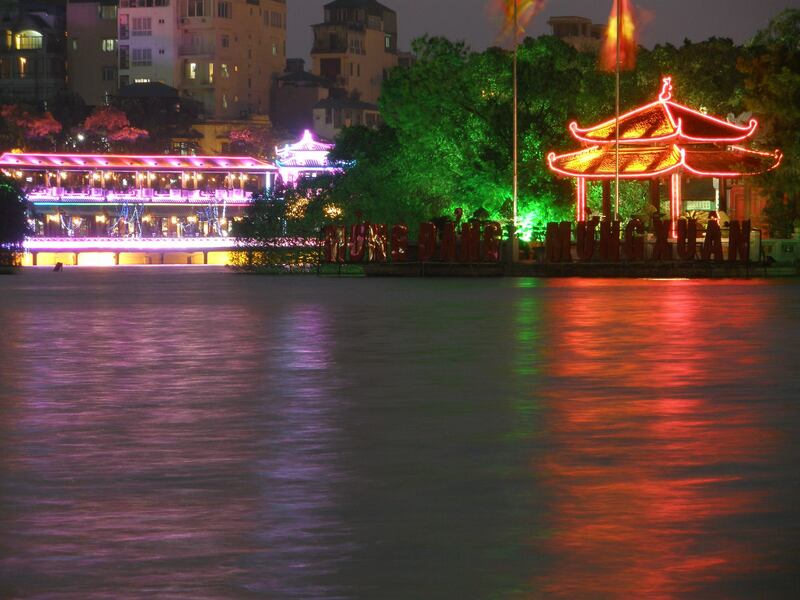 Tagged Asia, Featured photograph, Hanoi, Hoàn Kiếm Lake, Lake, Southeast Asia, Sword Lake, Travel. Bookmark the permalink.